Google Fusion Tables is a modern data management and publishing web application that makes it easy to host, manage, collaborate on, visualize, and publish data tables online. 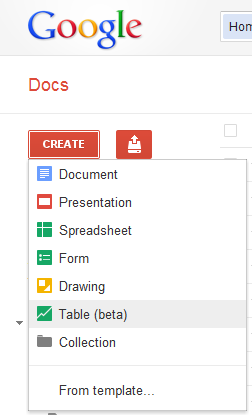 It is now available as a BETA component in Google Docs. Try Google Fusion Tables now at http://www.google.com/fusiontables/public/tour/index.html.